I am certainly glad my New Year’s resolution wasn’t to blog more. You may or may not have noticed, I haven’t posted in over a month! Life got really busy for us in the beginning of 2013! Usually there is a calm after the holidays, but it wasn’t that way for us this year. Larry is working on multiple shows right now, plus teaching, I started teaching my first college course one night a week, we are (fingers crossed) very close to become homeowners…. the list goes on! It did make me feel a little better when I received several emails asking where is My Color Coded Life? My first response was – I feel like a fraud – I am so unorganized right now!!! But, it also made me really happy that I have some followers who like to read this, so I am making the effort to put blogging back in my scheduled routine! 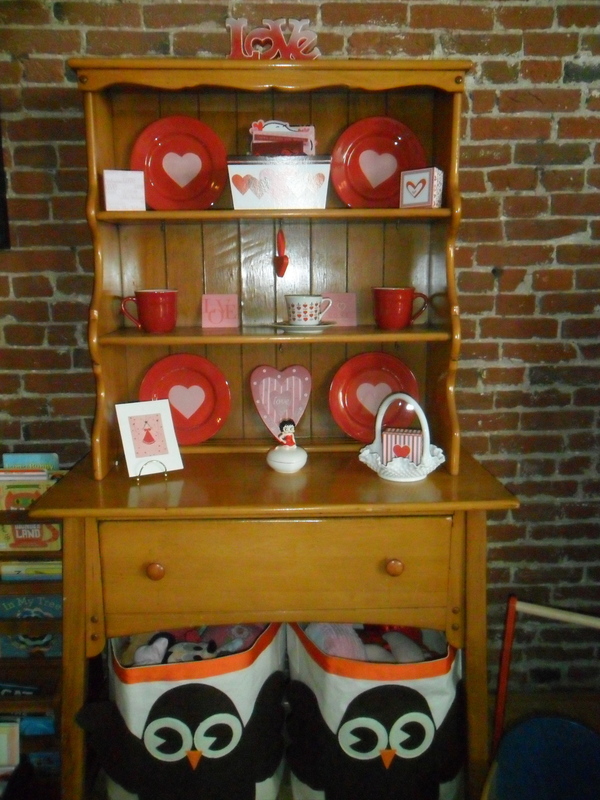 So here is what we were up to for Valentine’s Day…. My Holiday Cabinet. First time reading My Color Coded Life? Check out this cabinet in October and December. 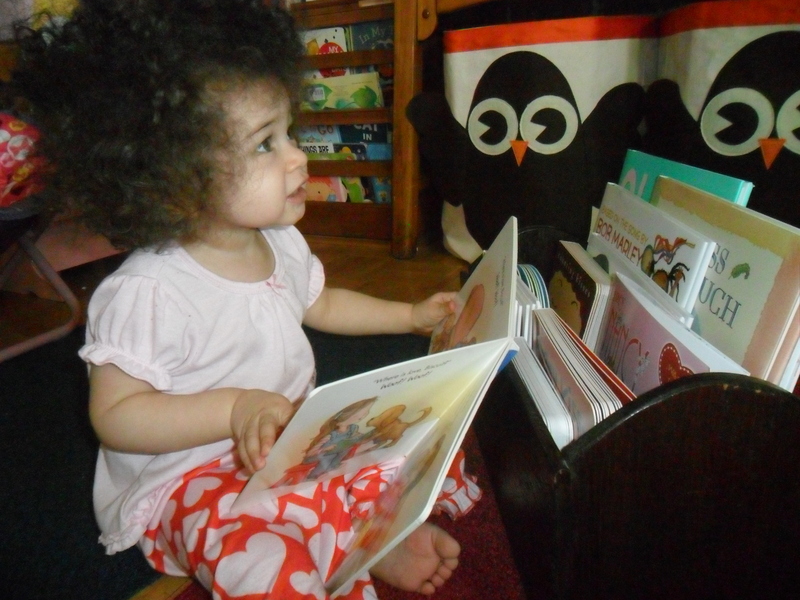 As you can see – we now have two owl toy bins under the Holiday Cabinet! I keep Valentine’s that Larry and I give each other every year in this box. 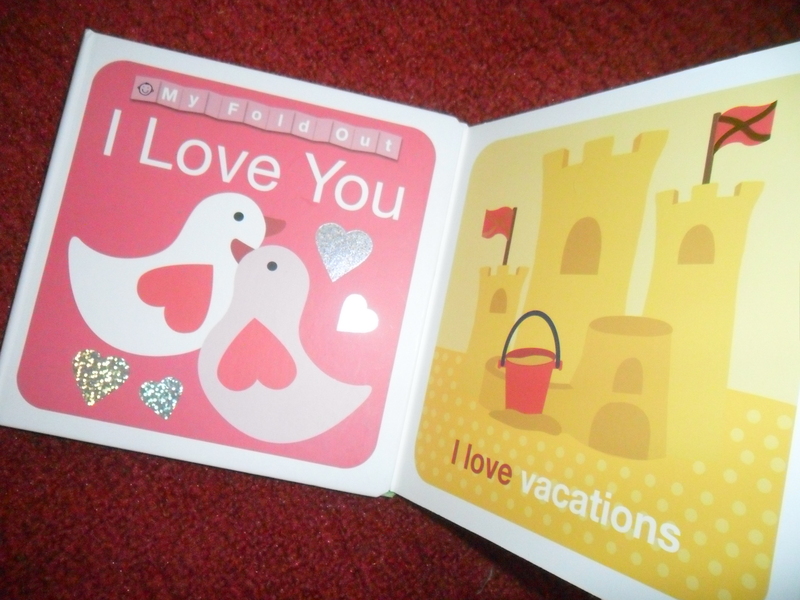 We now add the Valentines we give and get from Olivia. 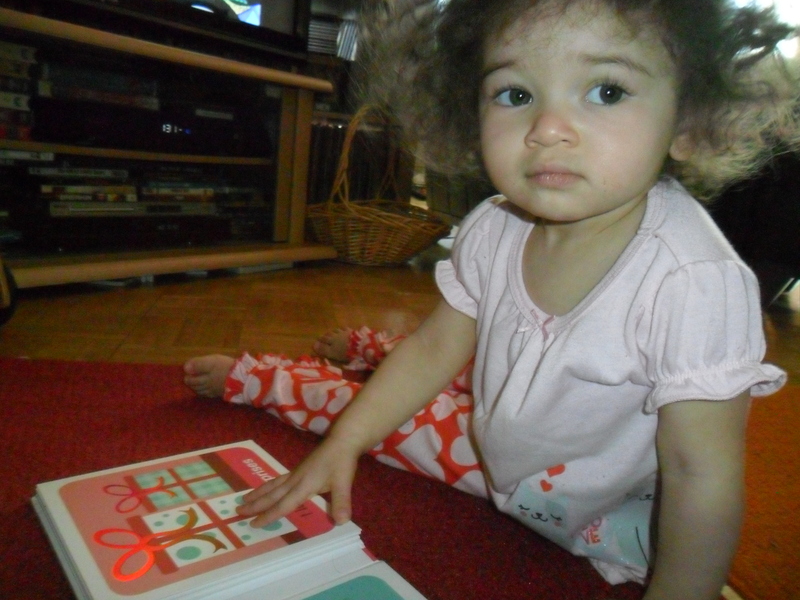 Enjoying some of her favorite Valentine’s Day books. 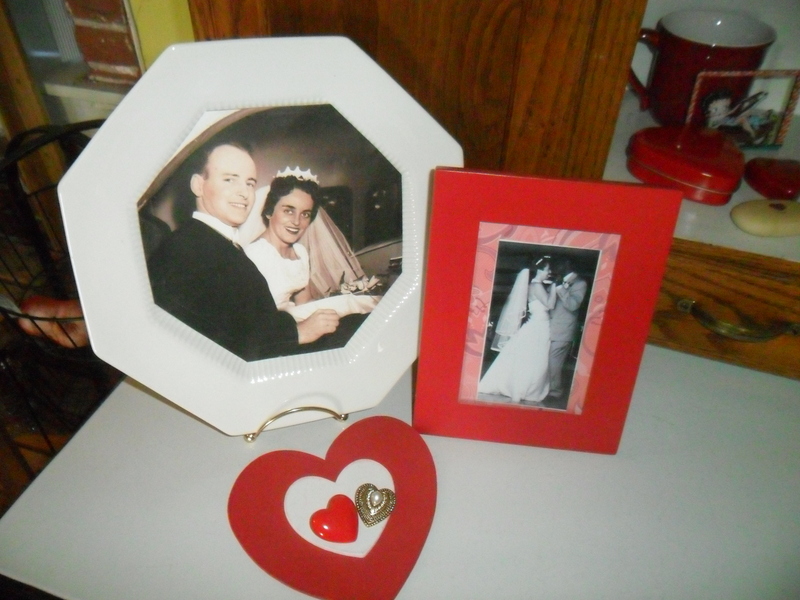 Our wedding picture and my parent’s wedding picture that I copied, cut into an octagon and affixed to a piece of my Mom’s china. 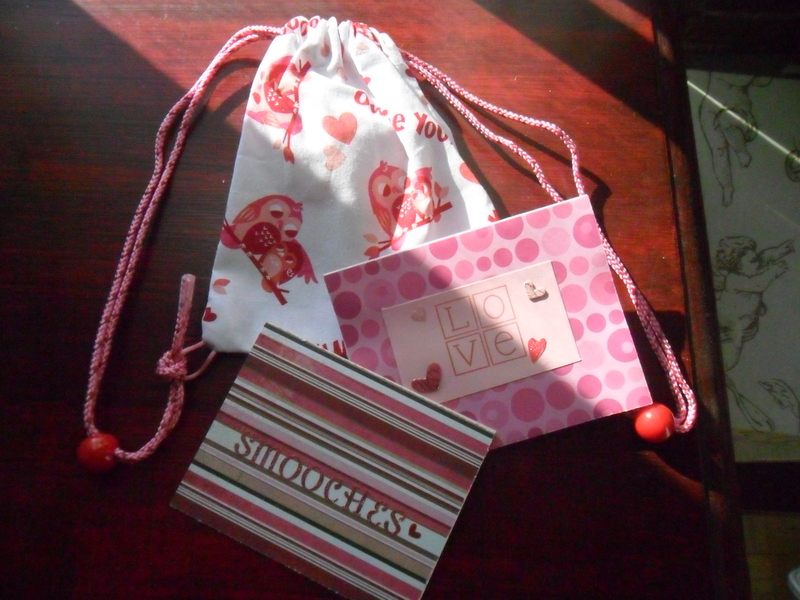 Some of my homemade Valentine’s and my sister’s bags. She made a little backpack for Olivia this year. I love the owl fabric she found! Olivia calls herself Dora when she wears it. 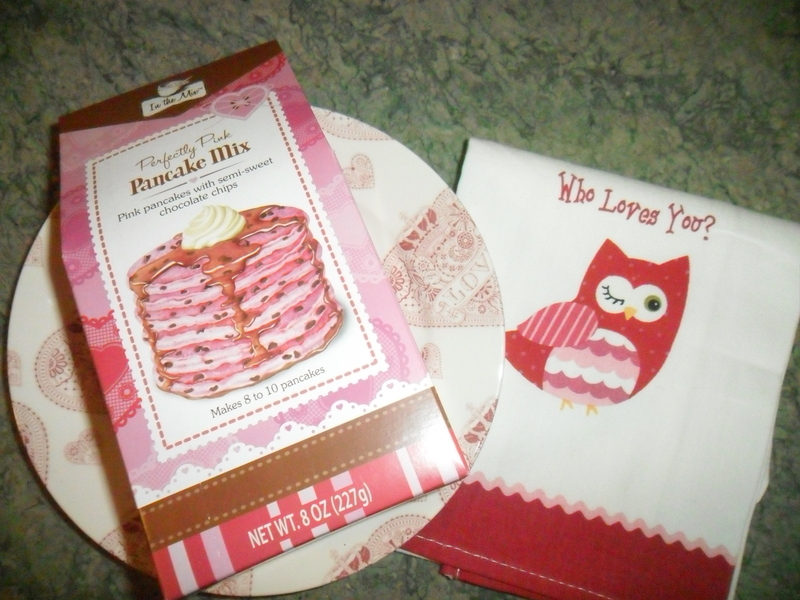 Pink pancakes with chocolate chips!! I hope to be back on a more regular blogging schedule…I’ve been catching up on all my magazines and TV shows, plus doing a lot of craft projects – so lots to talk about. Thanks for reading! Maureen, I love the idea of saving the cards you get every year. What a wonderful thing to treasure. Also, your mother (and you!) look so beautiful in your wedding pics–like Elizabeth Taylor. Hi Sarah! I miss you! I started saving our Valentine’s because my Mom always put out a Valentine my Dad and Uncle gave their Mom (my Nannie) every year. I always thought it was so neat – even when I was little! My mom did look like Liz Taylor in her wedding photos! It was the era!! 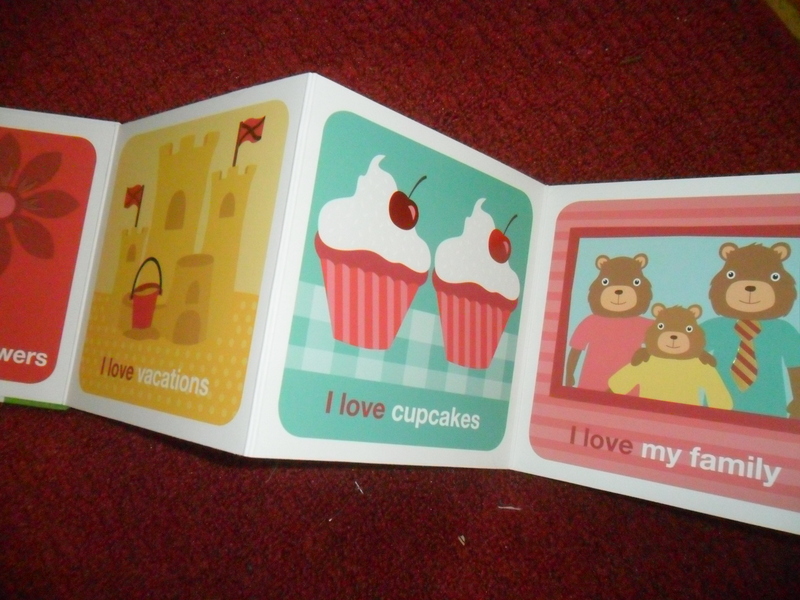 Also, I always save our cards, not from everyone but from Joe, Lainie, Ori and my mom. I saved my dad’s cards and now that he is gone when I come across them I feel so happy I saved them. 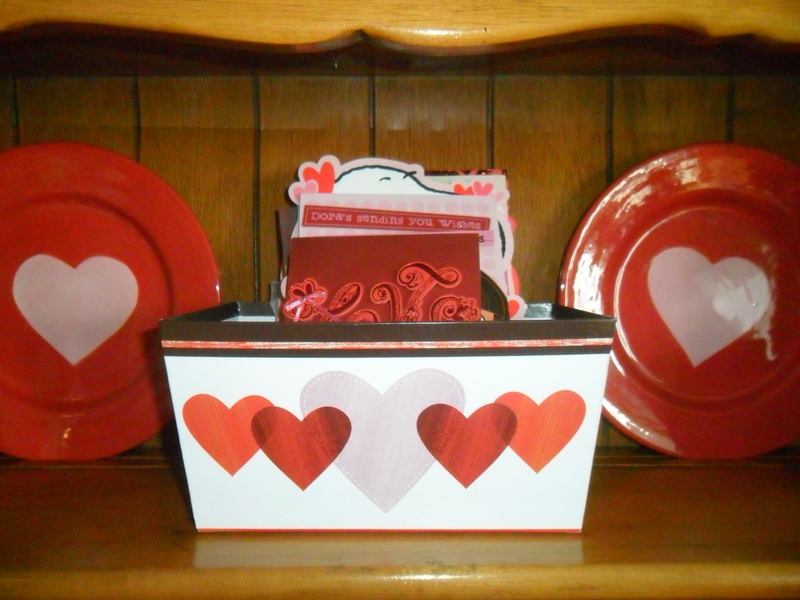 Lainie and I will be making a “treasure box” for our Valentines but not just for them for love notes. You know the notes you leave for each other just because, maybe with a lunch you made or by the remote to remind someone of a show they might like that is coming on. 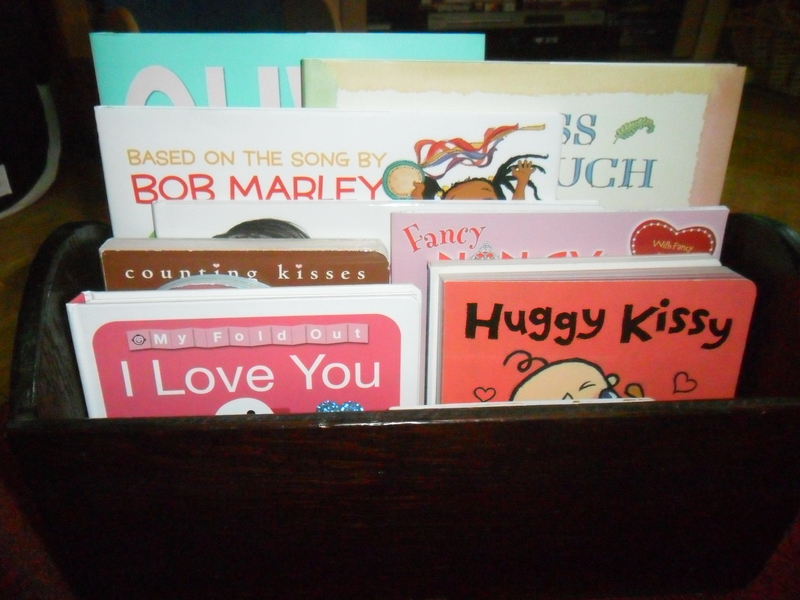 The love note treasure box can be used all year long and can make us smile when we might be feeling down. I love the idea of the treasure box! Such a great idea to save many mementos that are special! When I graduated from college – my mother gave my an envelope — inside were all of the cards my brothers and sisters made for me the day my mom brought me home from the hospital. It was such an amazing gift — I still have them all – even the envelope she gave me with my graduation date on it. Thanks Maria! I was on a short sabbatical – but I am ready to go with lots to blog about again!